The Duplo 150C Booklet System integrates the DBM-150 Bookletmaker with up to two DSC-10/20 Suction Collators, providing an entry-level collating and bookletmaking solution. Utilizing Duplo’s proven suction feed system, the DSC-10/20 allows for gentle handling of a wide range of applications not possible with friction feed collators. Each bin comes equipped with two adjustable fans for consistent and accurate feeding while a large pickup area of the belt suction feed system ensures that even slick coated, curled, and high static digital documents are fed consistently. Equipped with the Isaberg Rapid stapler and staple cartridge, the DBM-150 Bookletmaker produces a high quality, flat staple every time. Each cartridge holds 5,000 staples and wear parts are replaced each time the cartridge is changed out, providing a high level of reliability. Up to 16 jobs can be saved in memory for quick and easy changeovers. 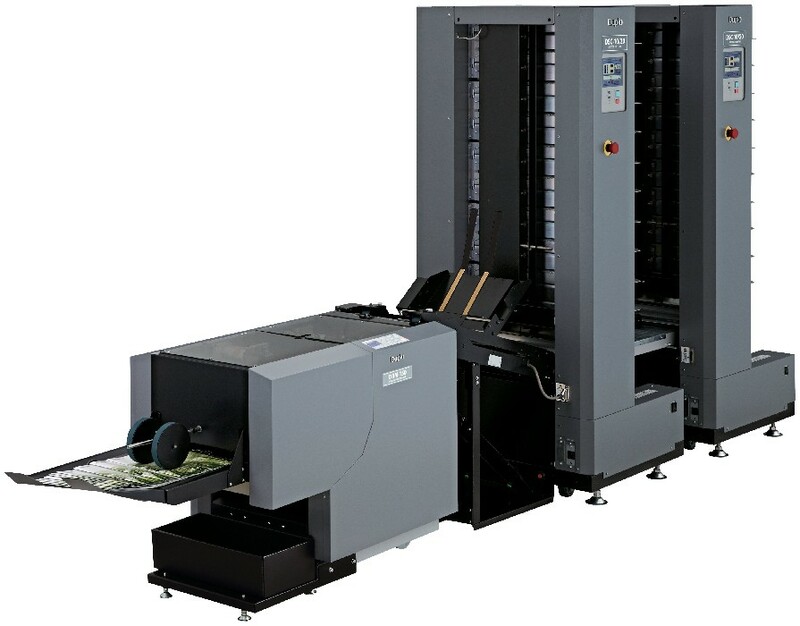 Compact in size and built-in with high performance features, the 150C Booklet System produces high quality corner, side, or saddle-stapled applications up to 2,400 booklets per hour.